Loaded SLT Package, All Terrian Package, ONE Owner, Perfect Autocheck! Great Miles! Factory Power Sunroof! Four Door Crew Cab 4x4! Nice Clean Graphite Leather Seats, Dual Power Seats, Heated & Memory Seats, V-8 5.3 Ltr Vortec, 4 Wheel Drive, Factory Rear Back Up Camera, Front & Rear Backing Assist, 20'' Factory Painted/Polished Wheels, Adjustable Pedals, XM Radio, Bose Stereo w/ CD, Bluetooth, Power Sliding Rear Window, Dual Climate Control, Dual Front, Curtain & Side Airbags, Spray in Bedliner, Fog Lights, Traction Control, Remote Keyless Entry & Start, Trailer Tow Package & Brake, HID Headlights, 3 Year/36,000 Mile Bumper to Bumper & 5 Year/60,000 Drivetrain Warranty Remains! 2 Sets of Keys! Extra Sharp! We are Family Owned & Operated in the Same Location for Over 40 Years! We Pride Ourselves on No Pressure or Hassle Sales & We Don't call you at home. Will be the Easiest buying Experience ever! 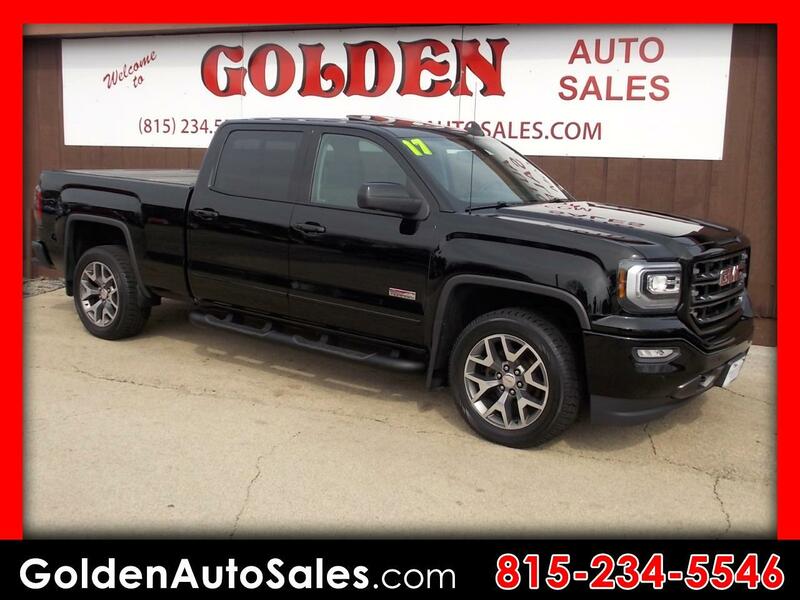 CHECK OUT OUR FULL INVENTORY with Over 25 PICTURES, DESCRIPTIONS & PRICES On each Vehicle on our WEBSITE at www.goldenautosales.com or call us at 1-815-234-5546.